According to the USDA, an average of 60 lbs. of beef is eaten by every American each year. Beef is easily prepared in the oven, on the grill or in a crock pot. 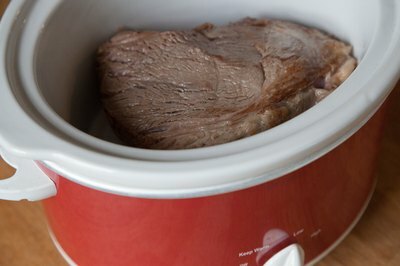 Crock pots make for fast preparation of a beef round sirloin tip roast. This roast is less tender than top sirloin or loin roast, but the long, slow cooking in a crock pot tenderizes this cut of beef. 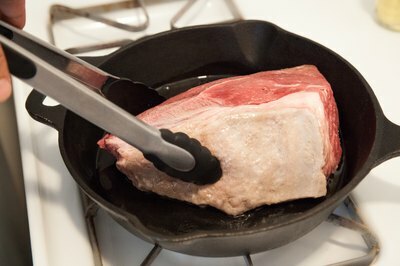 Lightly brown the beef round sirloin tip roast in a medium hot skillet after trimming any fat from the roast. Brown all sides by turning the roast. Place the browned roast in the crock pot. 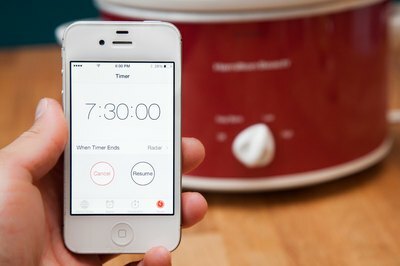 Turn crock pot on the "low" setting. Chop the onion into 1/2-inch pieces. Arrange onions pieces around the roast in the crock pot. 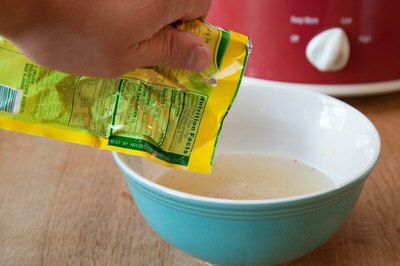 Add the onion soup mix to 1 cup of warm water. Stir together until dissolved and pour over the roast in the crock pot. A can of sliced mushrooms can be added with the onions if desired.